Painkillers are some of the most commonly abused drugs. According to the 2009 Substance Abuse and Mental Health Services Administration report, about 595,551 emergency department visits due to the misuse or abuse of pain relievers were recorded. Painkiller addiction treatment can help in recovering from prescription medication addiction. Pain medications are considered a favorite drug of abuse in young people. According to the 2009 Drug Abuse Warning Network, 9.7 percent and 4.7 percent of 12th graders have used Vicodin and Oxycontin, both narcotic pain relievers, respectively, for recreational or non-medical purposes. The non-medical use of Vicodin decreased to 8 percent in 2010, but Oxycontin abuse continued to increase, especially among 10th graders. Painkillers are also a popular drug of abused among older adults ages 21 and older. In 2008, 276,659 emergency department visits involved adults who misused or abused narcotic pain relievers. An estimated 21,302 ED visits that involved the use of narcotic pain medications in drug-related suicide attempts have been reported in the same year. These drugs are pain medications that belong to the class of drugs called opioids or narcotics. Most are only available through a licensed physician’s prescription, but these can also be obtained over the counter, especially if these are used as combination medications or as an ingredient in cough medicines. Pain pill addiction treatment centers have specialized programs for narcotic medication addiction and withdrawal symptoms. Methadone is used for its long half-life (24 hours), which makes it feasible for once-a-day dosing. Buprenorphine, an opioid agonist, has been proven to reduce withdrawal symptoms. Naltrexone is commonly used for long-term painkiller addiction treatment and recommended by virtue of its ability to prevent relapse. Naltrexone should only be used on people who have been opioid-free for at least seven days. Taking naltrexone too soon can cause severe withdrawal symptoms. Rapid painkiller detox can be performed for faster removal of the drug in the system. 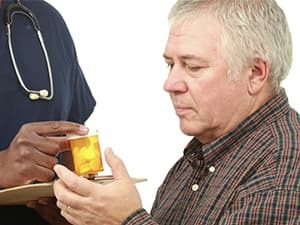 It involves the administration of multiple doses of medications to remove the illicit drug on the person’s system while he or she is heavily sedated. The most common medication used in rapid detox is clonidine, followed by naltrexone. Rapid detox can be done inside an inpatient or outpatient pain pill rehab facility. The patient is usually drug-free after three days; however, the procedure is somewhat controversial. Aside from detox, the painkiller rehab process also involves counseling. Most luxury treatment centers offer one-on-one or group counseling to provide encouragement to the patient and help him or her stick with the treatment. Counseling aids in the prevention of relapse and also teaches the person to cope with life’s stressors. Group counseling allows an addicted individual to meet new people and friends who are not using illicit drugs. Narcotics Anonymous also provides these benefits. The group usually sets up an informal meeting where people who face the same addiction problems can discuss the challenges they have faced or are currently facing. Some people delay pain pill addiction treatment because of the fear of experiencing withdrawal symptoms. If this is the case, it is recommended to talk first to a specialist about various treatment and recovery options suitable for your needs. Call 1-888-287-0471	Who Answers? to find the best detox and rehab center in your area. You can also call this number if you want to talk to a professional counselor regarding your painkiller addiction problems. Non-narcotic pain relievers, including acetaminophen (Tylenol) and non-steroidal anti-inflammatory drugs (NSAIDs) are not addictive and can replace narcotics to relieve pain. However, taking large amounts of acetaminophen can damage the liver. Aspirin is an NSAID and must not be given to small children, especially if the child exhibits flulike symptoms. Addictive painkillers are often injected, smoked, crushed and snorted. Doing so can quickly release the addictive ingredients in the system, causing a rapid high. It can also cause severe addiction and overdose.